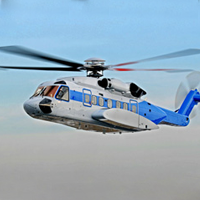 Sikorsky, a world leader in the design and manufacture of advanced helicopters, reduces design bottlenecks with MSC Nastran Advanced Nonlinear. Sporadic use of advanced finite element (FEA) software, such as nonlinear analysis by design engineers, can result in either excessive refresher training time or a bottleneck while in the queue for an analyst. The cause is a result of different types of solvers requiring different models. Commercially available translators can help, but still require significant amounts of cleanup.